Use this multi purpose air pump for inflatables like toys decorations, soccer balls, footballs, basketballs, volleyballs and more! Multi-Purpose Air Foot Pump - Fotpup Mini Foot Pump For Bikes, Toys, Cycles Etc. Versatile Compact Design And Rugged Construction Non Slip Foot Pedal Make Pumping Air Eeasy And Comfortable Can Be Used To Fill Air In Footballs, Cycles, Bikes Etc. 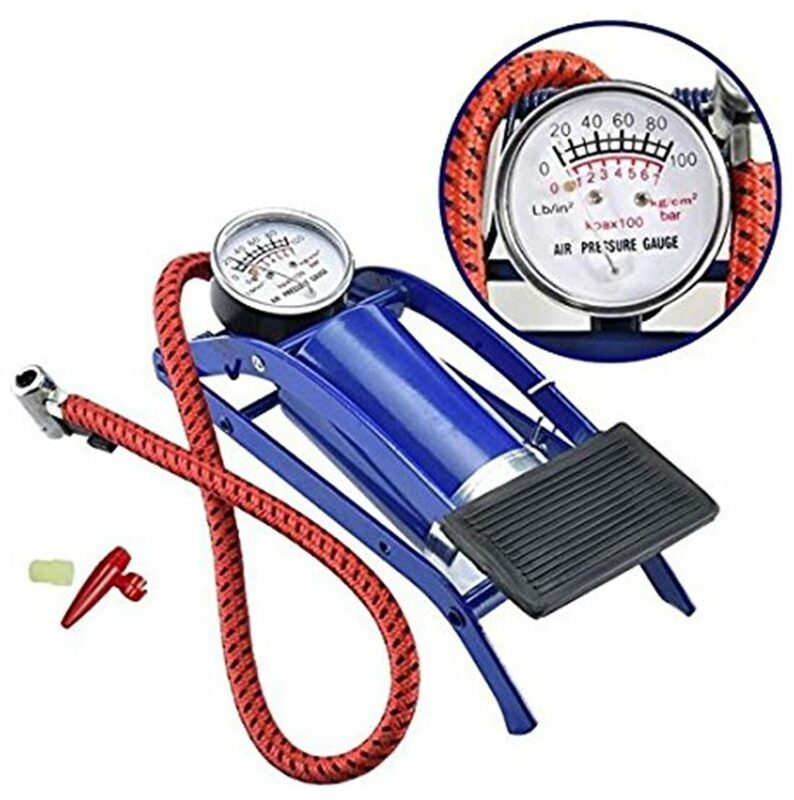 Portable Size But Powerfull Air Suply Meter To Read The Air Pressure High Pressure Foot Operated Air Pump Inflats Up To 100 Lbs Per Square Inch Pressure Compact Heavy Duty Design Unique Adaptcr Fits Ail, Domestic And Imported Valves.